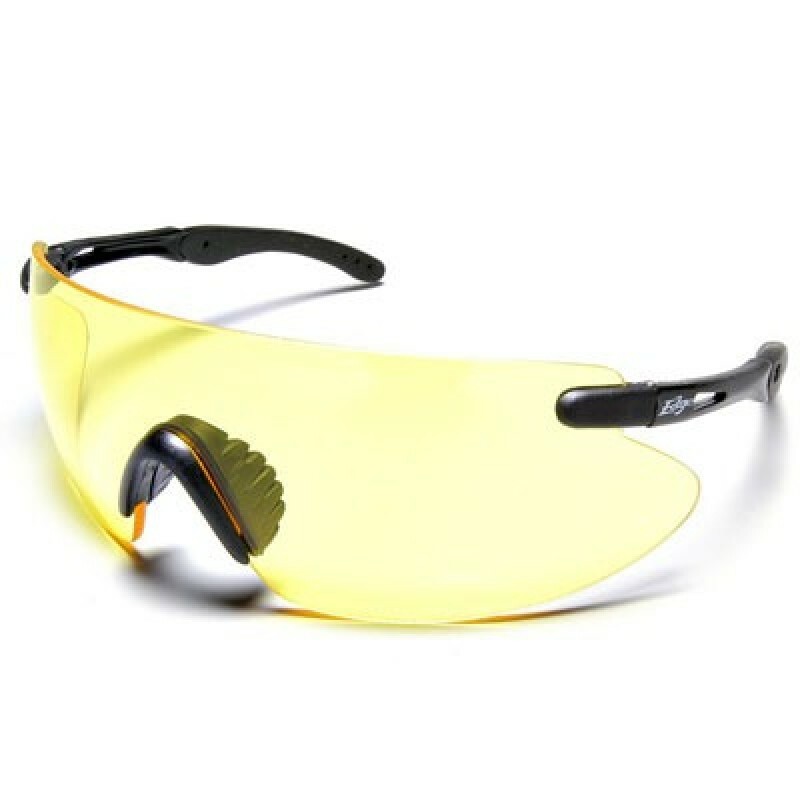 Edge Dinara safety glasses have a wrap-around lens with no frame edges, giving you the maximum field of vision. Nose pad and temples contain Megol, a material that increases grip as it becomes moist or warm providing wearers with secure fit that last. Lenses are scratch resistant and block 99% of UVA/UVB/UVC rays. Lens: Yellow - Commonly used indoor for low light applications. Enhances contrast.